Are you tired of climbing a ladder to tend to your home’s clogged gutters? 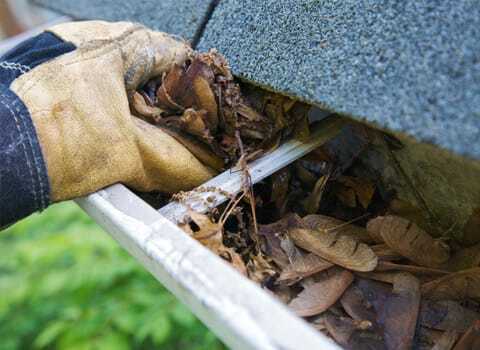 Did you know that in addition to being unsightly gutters clogged by leafs and other debris can actually cause basement leaks, and water damage to windows, soffits and other parts of your home and worse which can lead to infestation of annoying and potentially damaging insects as well as cause mold and mildew problems. The good news, Thomas Pest Services installs gutter protection systems that prevent issues caused by clogged gutters. A practically invisible design that is shaped and cut to fit in your gutter. Directs water to flow through your gutters and out the downspout. Inhibits mold, mildew, fungus, algae and moss as well as prevents conducive conditions for carpenter ants and other types of insects from infesting. Has a built in UV stabilizer to prevent deterioration caused by the sun. To learn more about installing a gutter protection system for your New York home, contact Thomas Pest Services today!